“All the pieces were fitting together,” 24-year-old Bri shares about life before losing her son. Bri was a young mother, happily married with a toddler and a beautiful new baby boy. Little Wyatt was happy to have a brother, and Liam was a bouncing baby full of smiles and giggles. Life was good, and everything felt like it was coming together. Bri’s husband was a paramedic and was adamant about the importance of vaccines. Wyatt had been fully vaccinated with no apparent problems, and the young couple followed the same schedule with their second child. Neither of them had considered the possibility that vaccines could cause harm, in fact, they believed that they were doing the best thing to protect their baby. “I trusted my doctor, I trusted my husband because that’s what you were supposed to do,” Bri recalls. “We were there religiously,” she says, receiving the vaccinations that were recommended at each well-child checkup. Baby Liam was alert, happy and full of life on the day of his six-month visit to the doctor. In fact, his mother took a video of him playing peek-a-boo in the office, minutes before receiving the vaccines that would kill him. 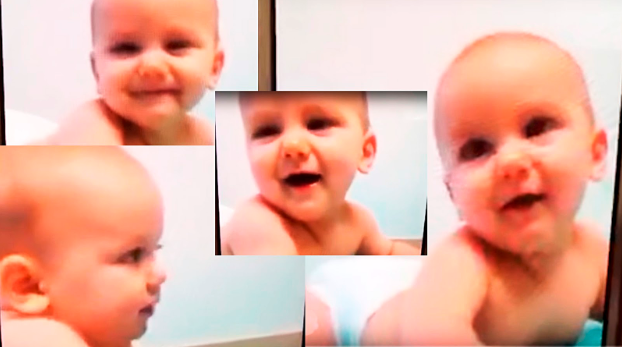 In the video, he is beautiful, perfectly healthy, and his face is alight with huge baby grins as he laughs with his mother. He is the very picture of health and joy, and there is absolutely no hint of the tragedy that was about to unfold. Records of that doctor visit show that Liam was healthy, happy, and developmentally right on track. He was doing all the things a child his age ought to be doing, and his weight and height were charted right where they should be. He had a perfectly clean bill of health that day, both physically and developmentally. Liam received five vaccinations in that visit—Hepatitis B, TDaP, Polio, Rotavirus, and Pneumococcal. Bri buckled him into his car seat and left the doctor’s office, reassured that her baby was healthy and developmentally on track. She had some errands to run, and Liam fell asleep in the car on the way…perfectly normal for a six-month-old who has just been through the trauma of the pediatrician’s office. Once they got home, Bri tried to get dinner ready but Liam was fussier than usual. Finally, she nursed him and put him in his bouncy chair while she loaded the dishwasher. Ten minutes later, she returned to check on her baby boy—and he was gone. Lifting her baby from his seat, the panicked mother found him limp and completely unresponsive. Efforts by her in-laws to revive him were unsuccessful, as were efforts by the paramedics. He was pronounced dead at the hospital, just hours after his clean bill of health and vaccinations. 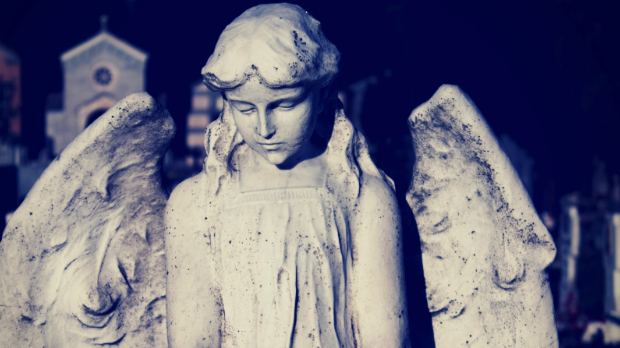 Devastated by the loss of her baby, Bri’s life began to fall apart. Her husband continued to support vaccinations, saying that he’d “rather sacrifice his son for the greater good.” Their marriage fell apart, leaving Bri a bereaved, single mother who now had to share custody of her surviving son. “Why does my baby have to die for the greater good?” Bri asks tearfully in an interview with Vaxxed. Today, Bri is moving forward with her new life—doing the best she can to grieve while parenting a toddler and navigating life as a divorcee. She is determined to live life and not give in to the overwhelming sadness she feels daily because she knows her little Liam wouldn’t want her to live that way. But some days, it’s hard to get out of bed. 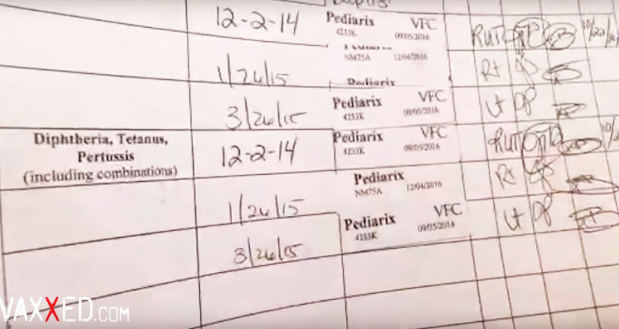 Liam’s death was reported to VAERS (Vaccine Adverse Event Reporting System), both by his mother and by others—but she has not gotten a response. No one wants to admit that vaccines killed the otherwise healthy little boy, not even the medical office that administered the fatal injections. 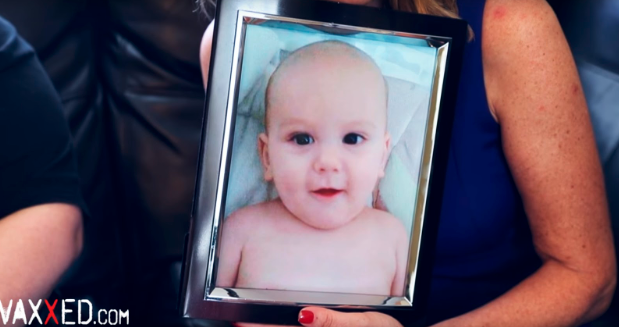 No one seems to want to know what made a perfectly healthy baby boy die suddenly, just hours after receiving injections that the public has been brain-washed into thinking are healthy and safe—and, certainly, no one wants to admit responsibility for causing the baby’s death. But something did cause Liam’s tragic death: Vaccines. Nothing can bring baby Liam back to his family, or mend the brokenness that was brought on by his death. But Bri can speak up, telling the story of Liam’s precious life and how it was tragically cut short—because it’s not just Liam who is being sacrificed “for the greater good.” It’s a risk every parent in the United States takes on, every time they unknowingly hand their baby over to be vaccinated, trusting that it’s in their child’s best interests. Watch the whole interview below, and share Liam’s story. Together, we can keep his memory alive, and help others avoid the tragedy that vaccines brought on his family.